This has been a week absolutely full of highlights and I have felt immensely proud of our girls and of what it means to be a part of Prior’s Field. 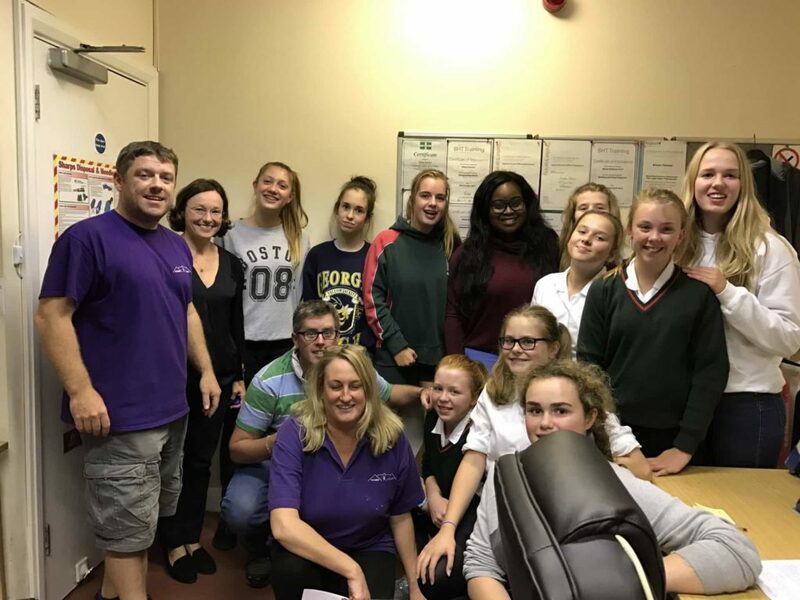 There was our evening trip with students, including those from the Second to Sixth Form, to deliver items collected in our Harvest Assembly to the Number 5 Project in Guildford. So many were the goods you donated that we needed to form a human chain to pass them into the shelter! Thank you and well done girls. With the same sense of enthusiasm, pupils and staff embraced this year’s under-the-sea themed House Cross Country Competition. There is something wonderfully Prior’s Field about this event – the fancy dress costumes were out of this world! Frank took first place, and each and every one gave it their all. Staff and Students at the Number Five Project. A particular mention array of activities marking European Languages Day. We now look forward to Open Morning tomorrow, and the Sixth Form Open Evening next Tuesday, when girls have the opportunity to show off their school. It is always a delight to hear feedback from visitors on how helpful our pupils are and how friendly. The week that was in – Junior Boarding.